The Environmental Protection Agency has issued separate direct final rules that together will require persons who intend to manufacture (including import) or process any of 29 specified chemical substances for an activity designated as a significant new use by one of these rules to notify the EPA at least 90 days before commencing that activity. Persons may not commence manufacture or processing for the significant new use until the EPA has conducted a review of the notice, made an appropriate determination, and taken such actions as are required with that determination. Importers must certify that shipments of these substances comply with all applicable rules and orders under the Toxic Substances Control Act, including any SNUR requirements. 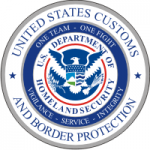 In addition, any persons who export or intend to export any of these substances on or after Sept. 26 are subject to the export notification provisions of 15 USC 2611(b) and must comply with the export notification requirements in 40 CFR part 707, subpart D.
These rules will be effective as of Oct. 26. If the EPA receives written adverse or critical comments, or notice of intent to submit such comments, by Sept. 26 will withdraw the relevant sections of this rule before Oct. 26 and proceed with a related proposed rule. © , Sandler, Travis & Rosenberg, P.A. Originally published in the [08/27/2018] issue of the Sandler, Travis & Rosenberg Trade Report. Reprinted by permission.